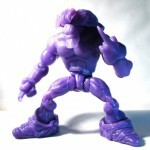 Shocker Toys has announced their 2009 New York Comic-Con exclusives. 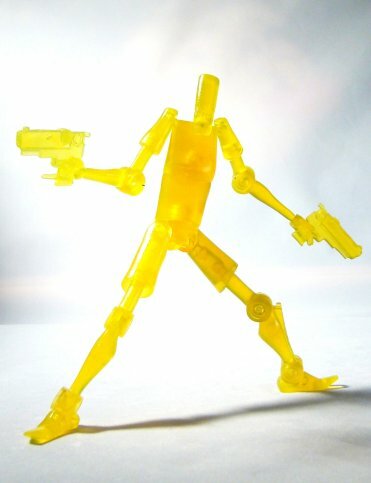 They are a translucent purple Maxx and a translucent yellow Scud. 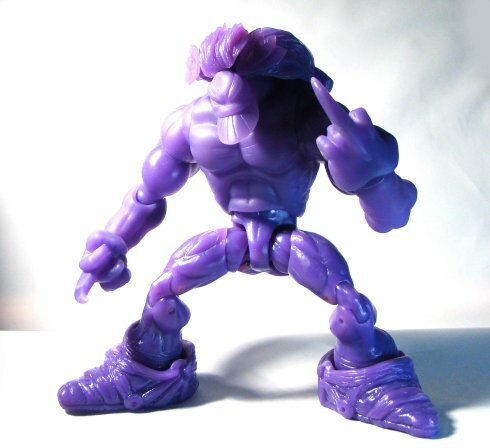 Indie Spotlight NYCC exclusives Translucent purple Maxx and Translucent SCUD action figures are now up for pre-order. Our webmaster is still re-doing store and pics below and they are available for ordering now. They come fully articulated in IS1 pcakging with NYCC touch plus all the accessories including Isz in translucent matching colors. Only 300 of each and since we sold 250 SCUD statues before going to NYCC in 2008 these are going to go very fast. Thanks to all for your support in the Indie Spotlight series and it’s continued growth. 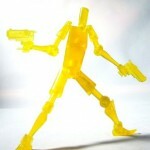 It is time for a change in the action figure market and we are all about change!